A review of ambulance services in England by Lord Carter of Coles suggested last month that the NHS could save £300 million a year by 2021 by caring for patients closer to home. The report for NHS Improvement, Operational Productivity and Performance in English Ambulance NHS Trusts: Unwarranted Variations, looked at the productivity of ten ambulance trusts across England and focused on the urgent and emergency service. The review found sickness absence at the trusts was the highest of all NHS sectors and there were recruitment and retention issues across the service. There were also the highest levels of bullying and harassment in the NHS and unacceptable levels of violence towards staff. 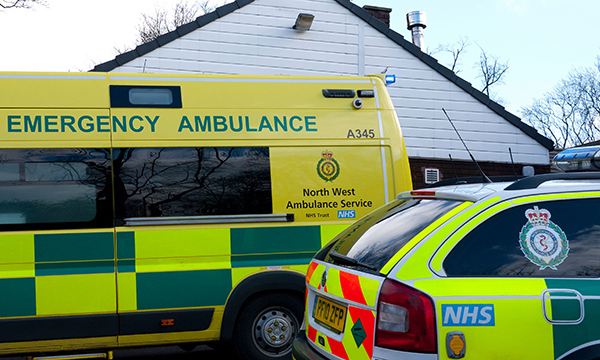 North West Ambulance Service (NWAS) NHS Trust has been trying to improve its service with a number of initiatives to support patients to receive the right care closer to home, reducing avoidable hospital attendances and admissions. The trust has said it has the aim of becoming ‘the best ambulance service in the UK within five years’. At the start of last year, the Care Quality Commission said the trust required improvement and cited an overall 5.7% vacancy rate alongside concerns about whether the service had enough staff to meet the needs of patients. A new quality strategy was due to go to the board at the end of October for approval but NWAS was already evaluating new projects to improve care. Under the Transforming Patient Care programme, which has been running for the past 18 months, the trust has been focusing on ways it can increase the number of patients it ‘see and treats’ through support on the scene and ‘hear and treats’ via phone support. The trust claims that in the first quarter of this year, when compared to the same time period last year, hear and treat rates had increased by 43% and almost 7,000 fewer patients were transported in an ambulance despite an increase in incidents overall. It is evaluating the progress of a six-month pilot scheme involving nurses who are part of an initiative that is helping patients to be treated closer to home rather than in EDs when they call 999. The NWAS team of urgent care practitioners is made up of eight nurses and five paramedics, who work across Manchester, Liverpool and Chorley. The team rotates between working in an emergency operations centre, where it offers secondary telephone triage in a similar way to how NHS 111 operates and responds to selected 999 calls in a 'see and treat' vehicle. NWAS chief nurse Angela McKeane joined the trust in May to a newly created role from Salford Royal NHS Foundation Trust where she was divisional deputy director of nursing. Ms McKeane is focused on giving nurses within NWAS a voice and has recently been meeting with groups of nurses at the trust to gather their views for a new nursing and midwifery strategy which she hopes will be out for consultation in January next year. ‘I’ve always worked in hospitals, so this has been a different experience for me and when I started at the trust there was no visible nursing and midwifery strategy. She acknowledged the trust has a high number of vacancies and has identified that there needs to be a career structure for nurses to progress through the organisation and to encourage retention. ‘We don’t have any nursing students and we need to have them, but we also need to make sure when we do, we can support them. There are a lot of paramedics who had dual registration with nursing but who have let the nursing side go. That’s a shame,’ Ms McKeane says. Feedback from the meetings she has had with nurses also ties in to Lord Carter’s review. Maxine Power, NWAS director of quality, innovation and improvement was instrumental in Ms McKeane’s appointment and says: ‘Ambulance services benefit from a diverse clinical network of healthcare professionals to offer the right care at the right time in the right place. Our chief nurse is a significant and important senior leader appointment who adds significant value to our leadership team. Lynne Hall-Bentley is a nurse and assistant director within adult community services at Bridgewater Community Healthcare NHS Foundation Trust. The trust has been working alongside NWAS and the local council as part of an integrated community services model to improve patient care and reduce emergency department visits for patients. Ms Hall-Bentley says: ‘When a paramedic gets called to a home to see a patient via 999 but thinks there may be another option to hospital, they will ring one of our advanced nurse practitioners directly and make a joint decision about what do. ‘They may choose a wraparound care package from the community response team which includes advanced nurse practitioners, geriatricians, occupational therapists and physiotherapists, who would come out and visit the patient. ‘There are other alternatives, if a patient doesn’t need to go to an emergency department but are not deemed safe to be at home. We have beds we can refer them to at nursing homes as an alternative or additional support in their own home.